Today the Food Network announced the premier of a new show called The Great Food Truck Race. Get those DVR’s and TiVO’s ready, it starts on August 15th! 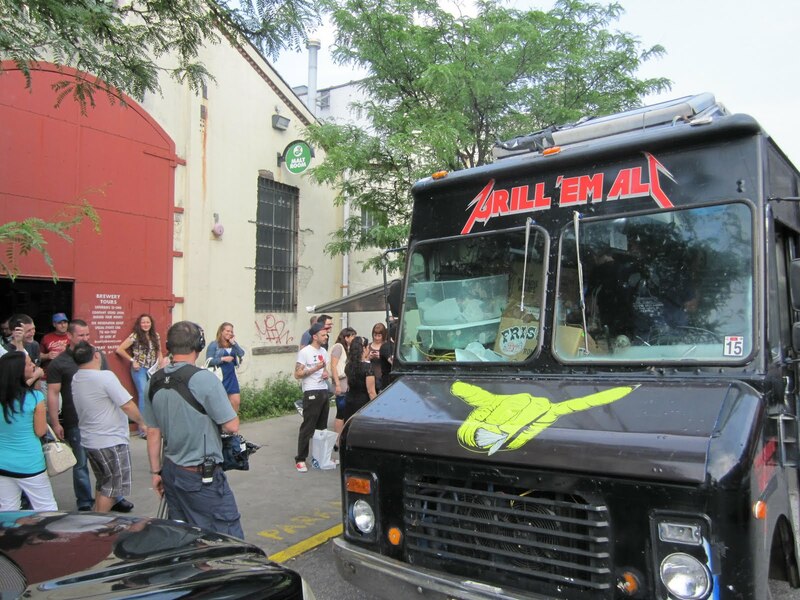 The show will feature the LA based gourmet burger truck Grill ‘Em All! NEW YORK – JULY 12, 2010 –Amazing chefs across the country are leaving traditional restaurants behind and hitting the streets in mobile kitchens serving some of the most unique and delicious dishes ever tasted. Food Network’s new primetime series, The Great Food Truck Race, features seven such gourmet food trucks as they embark on an epic coast-to-coast culinary road trip to convince Americans to step outside their culinary comfort zones and try something new – from a truck. Tyler Florence hosts this six-episode competition premiering Sunday, August 15th at 10pm ET/PT; the series resumes in its regular timeslot of Sundays at 9pm ET/PT on August 22nd. From out-of-the-box sandwiches, burgers, and crepes to unique takes on Vietnamese, French, and Cajun cuisines, the trucks compete in weekly challenges to see who can sell the most food and race to the next episode while the losing team drives home. The last truck standing wins a $50,000 grand prize. “Not only does the series focus on a hot new culinary trend, but the drama of the competition pushes these teams’ cooking skills, business savvy and relationships to their limit,” said General Manager/Senior Vice President Programming, Bob Tuschman. The seven trucks include: Austin Daily Press (Austin, Texas), Crepes Bonaparte (Fullerton, Calif.), Grill ‘Em All (Los Angeles, Calif.), Nana Queens (Culver City, Calif.), Nom Nom Truck (Los Angeles, Calif.), Ragin’ Cajun (Hermosa Beach, Calif.), and Spencer on the Go (San Francisco, Calif.). Click here for team bios. 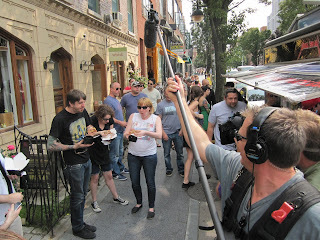 In the premiere, the teams meet Tyler in Los Angeles, the center of the food truck revolution, and the race begins with the teams’ first game-changing twist known in each episode as the Truck Stop challenge: Instead of starting in Los Angeles, the race commences in San Diego. To even the playing field, the teams begin with empty trucks and an equal amount of seed money. They have three days to prepare, promote and sell their food by any means necessary. After a weekend of triumphs, teamwork, and tests of character, the totals are tallied and the trucks find out who continues the great race and who goes home. New twists and turns arise as the race continues through Santa Fe, N.M.; Ft. Worth, Texas; New Orleans; Jonesborough, Tenn., and concludes as the final two trucks race to the finish line with through the hungry streets of New York City’s five boroughs. Guest chefs throughout the season include: Tim Love, Jacques Leonardi, Eric DiStefano and Nate Appleman. 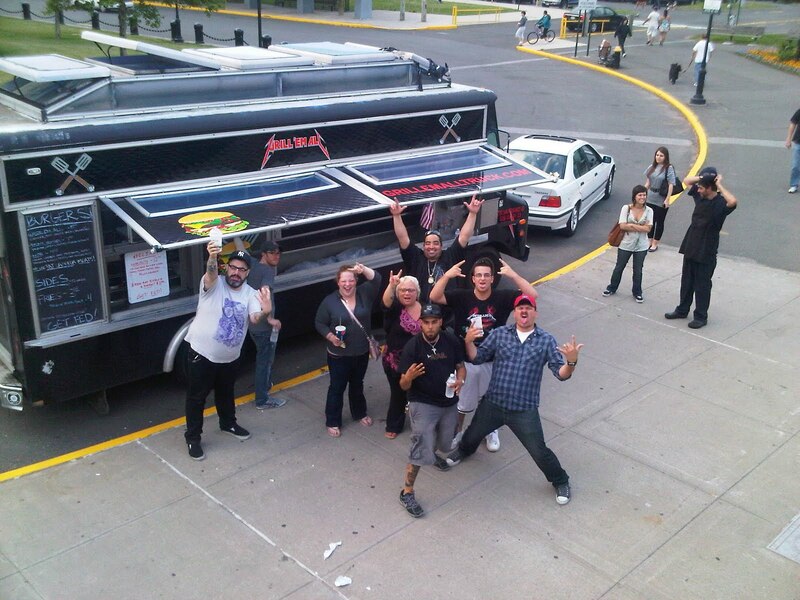 The Great Food Truck Race is produced by RelativityREAL, LLC. FOOD NETWORK (www.foodnetwork.com) is a unique lifestyle network, website and magazine that connects viewers to the power and joy of food. The network strives to be viewers’ best friend in food and is committed to leading by teaching, inspiring and empowering through its talent and expertise. Food Network is distributed to more than 98 million U.S. households and averages more than 9 million unique web users monthly. In its first year Food Network Magazine doubled its rate base and passed the one million circulation mark. Headquartered in New York, Food Network has a growing international presence with programming in more than 150 countries, including 24 hour networks in Great Britain, India, Asia and Africa. Scripps Networks Interactive (NYSE: SNI), which also owns and operates HGTV (www.hgtv.com), DIY Network (www.diynetwork.com), Great American Country (www.gactv.com) and Cooking Channel (www.cookingchanneltv.com) is the manager and general partner. This entry was posted in Uncategorized and tagged the great burger conquest hamburger cheese review new york nyc grill em all great food truck race food network tyler florence press release burger famous. Bookmark the permalink. isn't this kind of a huge spoiler alert?